Without naming names, he raised that some opposition group were not living up to the expectation of peaceful struggle. Yet, he noted the situation Wollega,Western Ethiopia, where the defense force was deployed to restore order and law. Militant faction of Oromo Liberation Front has been operating as a de facto government in the region after it was allowed to the country. 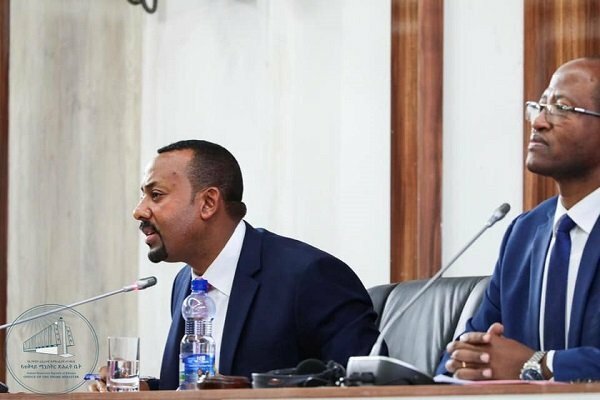 The party has been behaving as if it has a special Abiy made it clear at the parliament today that the peace offer to opposition parties is based on principles of peace. Government used same principles during negotiation with all opposition parties. He said the negotiation was based on the principle of ending the cycle of sorting out political differences through a point of gun and resort to dialogue to create democracy.